Shirt is one of the basic products of our clothing range. A shirt can be made by a single machine but to construct a branded shirt (Quality Shirt), shirt making factories and export houses use different types of machines to sew different part of garment (seams). 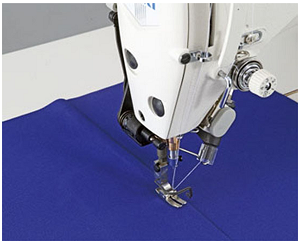 Many factories use special machines also for front placket and side seam and underarm sewing. The main purpose of using different types and special machines is to maintain certain quality level of the product and to increase productivity. Name of the different sewing and non-sewing machines and operations done with those machines are shown below respectively. Note: Use of machine types may vary based of on styling of seam types in a shirt used in same operations. Single Needle Lock Stitch (Plain, with/ without UBT): Collar and Cuff making, Pocket hemming and pocket attach, Yoke attach, Shoulder attach, Sleeve placket make, Sleeve attach, bottom hem, Main label attach, top stitches etc. Button Holing Machine: Making button holes. Iron for folding and pressing front pocket and sleeve plackets. Cost of the above machines depends of the machine brand and sourcing country. For the cost part it would be better to contact with machine suppliers nearby your location. Contact details of the supplier can be easily found on Google search. Name of the different sewing and non-sewing machines and operations done with those machines are listed in this article.